It was a Yentl reunion at Broadway’s Music Box Theatre on November 6 after superstar Barbra Streisand enjoyed a performance of the hit revival of Pippin: Tovah Feldshuh, a Tony nominee for Yentl's Broadway premiere back in 1975, was understandably thrilled to welcome Streisand (star, director and co-writer of the 1983 film version) back to Broadway. 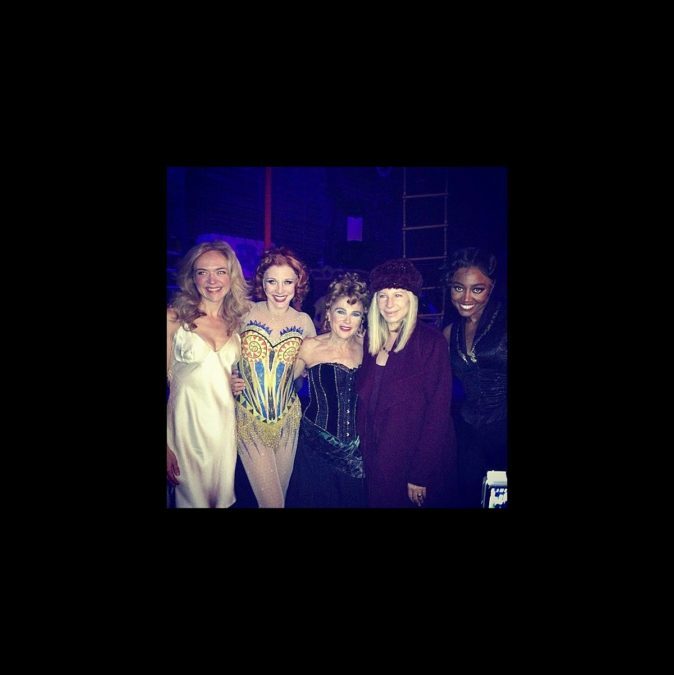 “Could there be a better night in the theater?” Feldshuh tweeted of Babs’ visit, adding, “She is truly a kind and generous soul.” Press photographers weren’t invited to capture the meet-and-greet, but enjoy this personal snapshot of Pippin leading ladies Rachel Bay Jones, Charlotte d’Amboise, Feldshuh and Patina Miller with Broadway's now and forever Funny Girl. Wow!